ARRESTED FOR A FELONY CRIME IN MACOMB COUNTY, MICHIGAN? You’ve likely heard the words “misdemeanor” and “felony” before on television, whether it was on reality-based documentaries or police and courtroom sitcoms, but these shows never really explain the difference between these two terms. Under Michigan law, felony crimes are more serious than misdemeanors. A felony is any crime punishable by more than one year in prison. 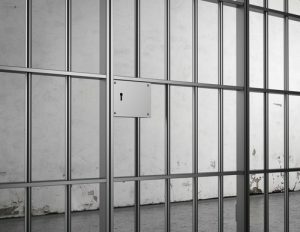 A misdemeanor conviction could send you to jail for as little as 93 days, or as much as one year (and in very rare cases, up to two years), whereas a felony conviction could send you to prison anywhere from two years to life, depending on the crime. The fines associated with felonies are also much higher than those of misdemeanors. Class A felonies are the most egregious of all felonies. This category includes crimes such as first- and second-degree murder, kidnapping, and assault with a deadly weapon with intent to rob or steal. Class A felonies are punishable by any term in prison, including a life sentence. Second-degree arson and second-degree child abuse are examples of Class B felonies. Class B felonies carry punishments up to 20 years in prison. Felonies in this category include manslaughter and unarmed robbery. Class C felonies are punishable by up to 15 years’ imprisonment. Class D felonies include embezzlement of $20,000 (or more) and human trafficking. A Class D felony conviction will net you up to 10 years in prison. Class E felonies include third-degree home invasion and first-degree shoplifting. The penalty upon conviction of a Class E felony could include up to a 5-year prison term. Drug dealing (less than 20 plants or 5 kilograms of marijuana) is a Class F felony punishable by up to 4 years’ imprisonment. A second-offense “aggravated” domestic assault is a Class G felony that carries a maximum penalty of up to 2 years in prison. Class H felonies include false representation and use of a stolen ID card. Subject to the Michigan Sentencing Guidelines, Class H felonies can result in jail time, substance abuse treatment or other mental health treatment, probation, and electronic monitoring. Of course, additional or incidental penalties often accompany most of these felony penalties, including probation and fines, which depend on the severity of the offense.